Our latest publication takes children on a journey to help them discover their inner strength for managing the challenges of grief, loss, and separation anxiety. Designed to read in two different formats, with even pages telling the story for younger children,and odd pages tell a more in depth version for older children and teens. Children can experience pain in limitless ways, ranging from trauma, illness and abuse, to grief, loss & separation anxiety. 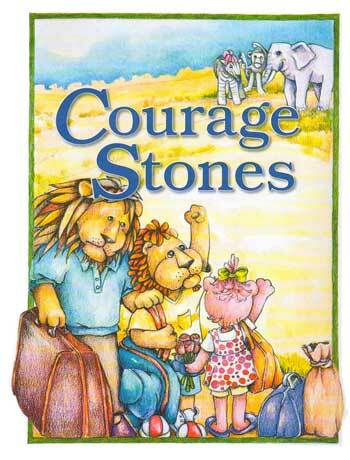 The “Courage Pockets” Series continues with this enthralling children’s book “Courage Stones”.